The missing square puzzle is an optical illusion used in mathematics classes to help students understand geometrical figures. It depicts two arrangements made of similar shapes in somewhat different configurations. The key to the puzzle is the fact that neither of the "triangles" is truly a triangle, because what appears to be the hypotenuse is bent. In other words, the "hypotenuse" does not maintain a consistent slope, even though it may appear that way to the human eye. 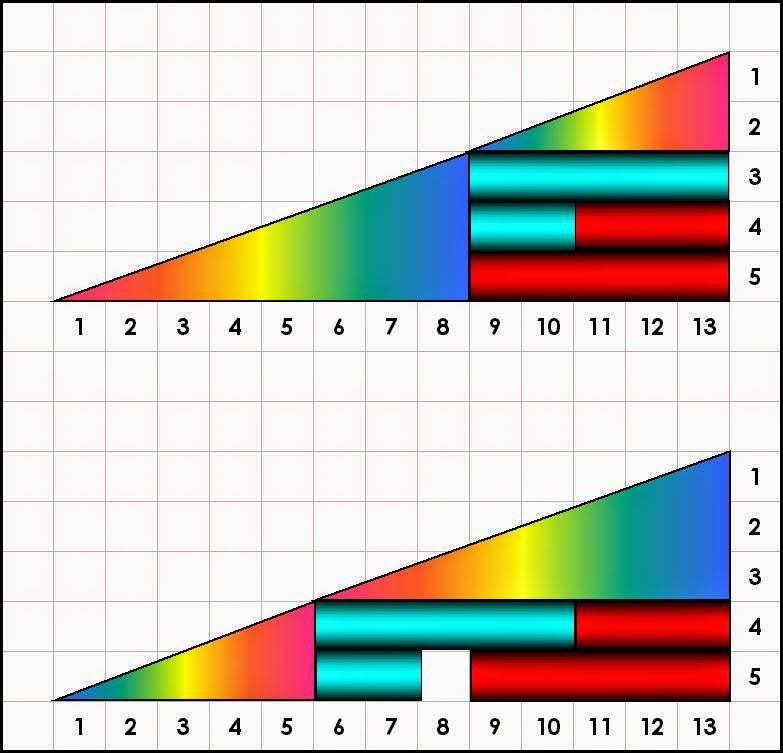 So, with the bent hypotenuse the first figure actually occupies a combined 32 units, while the second figure occupies 33, including the "missing" square. Note the grid point where the red and blue triangles in the lower image meet and compare it to the same point on the other figure; the edge is slightly under the mark in the upper image, but goes through it in the lower. A very fascinating and interesting geometrical puzzle.